3D printers are still new in the consumer technology market, but 3D printers have huge potential to help the blind and visually impaired. To be clear this technology is still in its infancy. Imagine a blind student reading about a geometric figure or a molecule, but who cannot understand the make up or configuration of the object. A sighted user might be able to gather the necessary information through an image but a blind student might need hands-on time for a better understanding of the object. This is where the 3D printer comes into play. If a digital 3D file is available the blind student could print out the object quickly right in their home or classroom. 3D printers typically print a model layer by layer in plastic A blind person could print a model of a building or car in order to gain a better understanding of the architecture or design. As shown in the above picture some current 3D printers can print objects the size of the basketball. The the student could feel and examine the object. For this promising technology to become a reality pricing would have decrease to allow schools or individuals to purchase the devices. Also, content creators would have to make printable 3D files available for public use. Click read more below to watch videos about 3D printers. Google's I/O conference kicks off in just under a month on May 15. I/O is Google's largest conference and usually comes with software and hardware announcements. Last year Google announced Google Glass and Android 4.0 Ice Cream Sanwich among other products. This year Google is widely expected to announce Key Llime Pie, a new version of its Android operating system. Google may also release new Nexus devices. As previously rumored Google may improve its Google Now service and possibly bring the feature to iOS. Stay tuned for new of the announcements and analysis about the accessibility of the new products. Today Apple announced that they will hold their annual WWDC (World Wide Developer Conference) on June 10th at the Moscone West in San Francisco. WWDC 2013 is expected to showcase iOS 7 and OS X 10.9. iOS is Apple's operating system for iPhone, iPad, and iPod Touch and OS X is Apple's operating system for Mac computers. This year's WWDC keynote will give users a preview of the new features coming to their Apple devices in the coming months. Last year at WWDC Apple previewed iOS 6 with new accessibility features including Guided Access, Speak Selection with highlighting, Assistive Touch improvements, and much more. Apple devoted a portion of their WWDC 2012 keynote to iOS accessibility. These features were added to the already robust accessibility features for iOS. If Apple sticks to the pattern as they have in years past iOS 7 will also include new and improved accessibility features. OS X 10.9 is rumored to include Siri integration among other features. WWDC will follow Google I/O by a little more than a month. To learn more about iOS 6 and OS X 10.8 Mountain Lion. A service called Amara allows YouTubers to get crowd sourced help captioning their videos. Millions of people, particularly those with hearing impairments, rely on captions in order to watch movies and videos. Amara's goal is to have more captioned videos on the web. Anyone with a YouTube account can register with Amara.org for free. Then volunteers caption the videos for free. After the volunteers caption the videos the captions are then added to your YouTube video. Captioning videos can be difficult for individual video creators. Now with Amara there is no reason for YouTubers not to have their videos captioned. People can also volunteer to help caption more web videos. Proloquo2Go 3.0 is coming soon according the maker AssistiveWare. If you are unfamiliar with Proloquo2Go click here for background information. 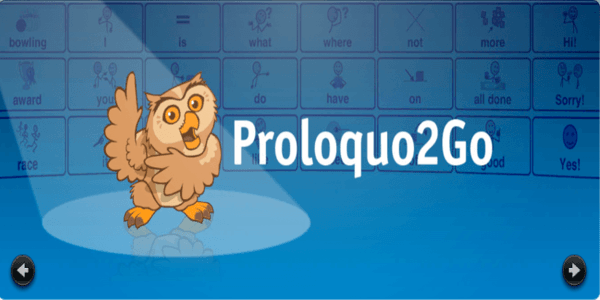 Proloquo2Go is the most well known alternative and augmentative comunication (AAC) apps for iOS devices. AssistiveWare does not seem be resting on its laurels and has some exciting new features planned for upcoming version 3.0. One of the new features is something AssistiveWare calls ExpressivePower. This new features will allow users to create buttons with certain intonation and emotion. This is great news for people who uses Proloquo2Go for everyday communication. Users will also be able to switch between voices more quickly in version 3.0. Version 3.0 will also include greatly improve switch access and more options to manage switches. Proloquo2Go 3.0 will be a free update for all current users in the next month or so. Proloquo2Go is avalible in the App Store for $189.99. Click read more below to view videos about Proloquo2Go. Has someone ever asked to borrow your iPhone to call home, but then went through your personal information? Hopefully not, but it has happened to many kind-hearted phone lenders. Luckily using the built in Guided Access feature you can hand over your phone with less worry. Guided Access is designed as an accessibility feature but can be used by everyone. To learn more about Guided Access click here. Even with this feature use caution and common sense when lending your phone to people. To get started, go to "settings" then "general" and then "accessibility". Guided Access is only avalible in iOS 6. In the accessibility menu go to Guided Access and turn it on. Then you will have to set a passcode. Make sure you remember your passcode. Now when you want to lend your phone to someone go to the app you want them to use and triple click the home button to start Guided Access. After turning on Guided Access no one will be able to access any other app without knowing your passcode. When you get your phone back just triple click the home button again and type in your passcode to unlock your phone. Watch the video above to learn more. iReadWrite is an iPad writing app that is designed to benefit struggling readers and writers. 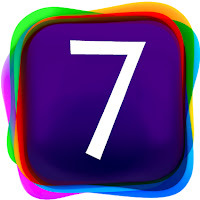 iReadWrite includes a number of writing features that makes writing easier. One such feature is contextual word prediction that suggests the word you were looking for. Word prediction is great for poor spellers because much of the time you only need to type a few letters before the word is suggested. Other extremely helpful feature is phonetic spell checking. The spell checker will highlight any misspelled word in red; just as you would expect any word processor to do. But it will highlight words that sound the same or are commonly confused in blue. If you are still unsure of which word to use you can press on the word to hear the pronunciation and definition. The app even has a talking dictionary with associated images. All text can be read aloud with text-to-speech to help caught mistakes. For dyslexic users the app includes the OpenDyslexic font which maybe easier for dyslexics to read. Once you are done writing your document there are many sharing options. Click here to download iReadWrite for $19.99 in the App Store. Click read more below to view screenshots of iReadWrite in action. AMD: PC Gaming Is Coming Back in a Big Way. While some people believe that games on personal Computers and � top-notch microprocessors and high-end graphics cards � have lost their charms, it seems like they not only haven�t, but they are gaining. Moreover, they are gaining in a way that was unbelievable a year from now. �Most people would say that it has lost some of its charm I say that our commitment and work with game developers to bring back some of PC gaming stimulus. I�ll give you an example: My father is a PC gamer.But for a few years, he has pursued other interests. When Tomb Raider came out, my father saw the images TressFX hair simulation and wanted the game. TressFX for us is just the beginning of a whole series of things that we will do together with game developers have to make PC gaming more exciting,� said corporate vice president of global channel sales, said in an interview with Heise.de web-site. Being an excellent PC game, the all-new Tomb Raider is a good example of a revenue driver for a developer. EA�s Need for Speed: Most Wanted has clearly earned loads of money thanks to three DLC packs released for PCs in March, which brought the actual price of the game to rather whopping �85/$85. Keeping in mind that publishers want maximize the revenue from games by setting higher price per title, whereas companies like AMD want to sell hardware, it is rather logical for the latter to finance development of titles designed. However, AMD has never done so, albeit its financial support was crucial for such major titles as FarCry 3. Turn your iDevice into a spycam, and indulge in a sizeable dose of retro in this week�s pick of the best iOS apps. Two brothers, moustaches, sewers, and a damsel in distress might sound rather familiar, but this modern twist on a platformer follows the story of the �other brothers� Joe and Jim, racing through levels against the clock and taking on boss fights to save a girl named Tavy who�s been captured by the Mob. Calling itself the �new retro�, it features excellent 16-bit graphics but with modern mechanics and a mixture of linear and non-linear environments � though you still employ the satisfyingly retro technique of jumping on the heads of the bad guys to see them off. We�ve seen a number of excellent atmospheric side-scrollers recently, and the award-winning Badland is the latest. Set in a forest that has been filled with traps and obstacles, you take control of one of the forest�s rather strange-but-cutesy inhabitants. Simple one-touch controls see you dodging all manner of spinning saws, turning cogs and shooting spikes in this gorgeous-looking game � there�s even a local multiplayer mode that lets up to four people play on the same device. Slayin is one of those games that seems quite simple in theory � but in practice it's plenty challenging. Confined to the size of your device�s screen, it�s an endless RPG that sees you simply pacing backwards and forwards, hitting enemies with your sword and avoiding their strikes when your back is turned. There are weapon upgrades and spells that you can buy as you level up, and character upgrades to unlock as well � but once you die in this game, it�s game over. Retro graphics, an old-school on-screen control pad and an excellent chiptune soundtrack only add to its simplistic charm. If you�ve got an iDevice sat at home when you�re not, this app can turn it into an instant Wi-Fi video camera, offering real-time audio and video streaming, motion detection and a two-way conversation mode. All you need to do is ensure it is connected to the internet, plug it into the power and leave it in the spot you�d like to monitor. Once you've downloaded the app onto the iDevice you carry around in your pocket, you can check in to it whenever you like, wherever you are � you can even get an alert with a short video clip every time motion is detected � handy if you�re using it as a security measure. Or if you want to see what the dog gets up to when you're out.